These highly specialised belts are produced by two manufacturers who together have decades of experience in this challenging application. The belts are specially tailored to deliver the required strength, grip and stability. Can be installed on a small mandrel and applied for a hard twist within a short distance. Prevents over-tensioning by maintaining even contact pressure against mandrel. Minimizes uneven elongation and uneven abrasion. 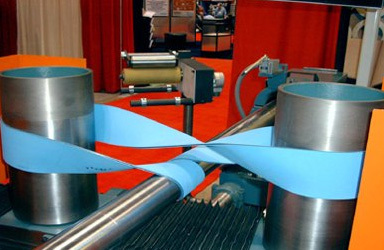 Enables stable tube-winding due to even contact pressure against paper material. 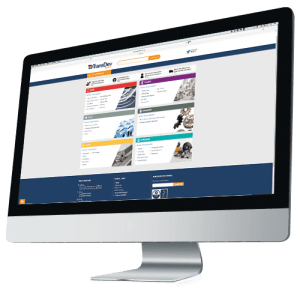 An established Italian company specialising in the manufacture of Truly Endless belts for various sectors. Using their extensive experience, the best quality materials and state of the art equipment Riva Renzo are able to supply truly customised solutions. • White rubber available for food/ non-marking.